When it comes to choosing a name for your baby, there are no rules. Really. And you definitely shouldn’t be confined to the most popular names in your home country. In fact, you might want to avoid those names altogether — unless you want your kid to be one of a dozen Emmas or Liams in their class. 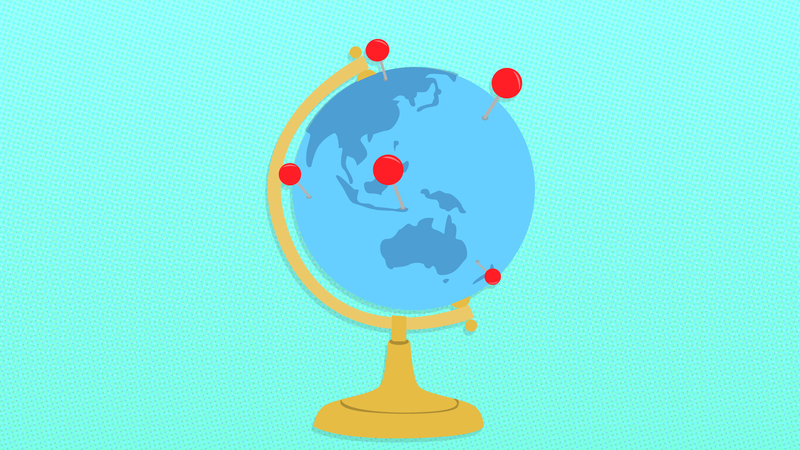 It’s never been easier to travel the world than it is today, and the top baby names in other countries often reflect our globe-trotting culture, with many countries favoring variations of the same names or choosing names that originate in other parts of the world. Not all countries have official baby name charts, but there are people who are so into baby names they devote their working lives to analyzing trends and figuring out what baby names parents are loving the most. Check out these top baby names for boys and girls around the world — you might just get the inspiration you’ve been looking for. 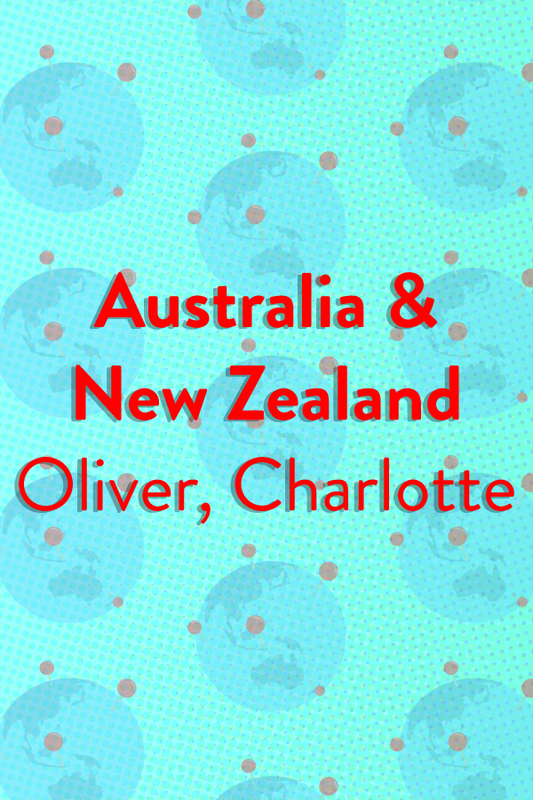 There hasn’t been much movement on the Australian and New Zealand baby name charts in recent years. It’s no secret the Aussies are big fans of the British royal family, so could William and Kate’s second-born child, Princess Charlotte, be responsible for the top girl name? 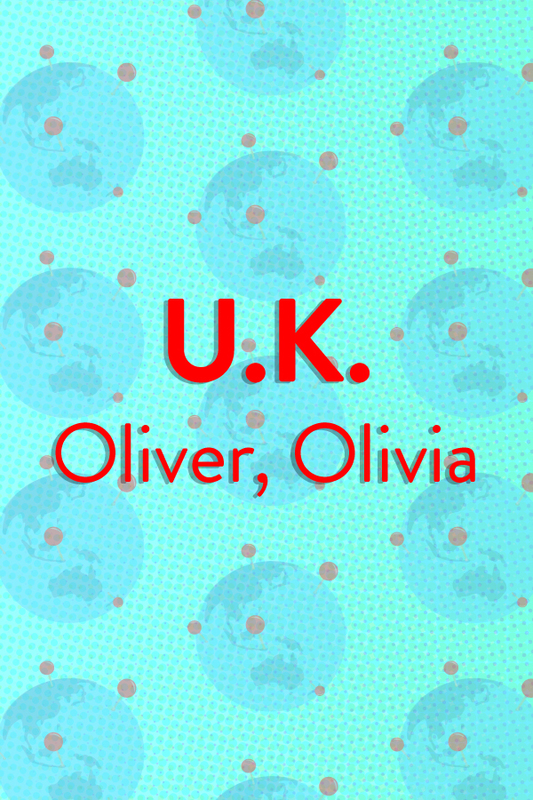 When it comes to boy names, Oliver topped the chart in 2017 for the fourth year running. Other names in the Aussie top 10 include William, Jack, Noah and Thomas for boys and Olivia, Ava, Amelia and Mia for girls. It’s undeniable. 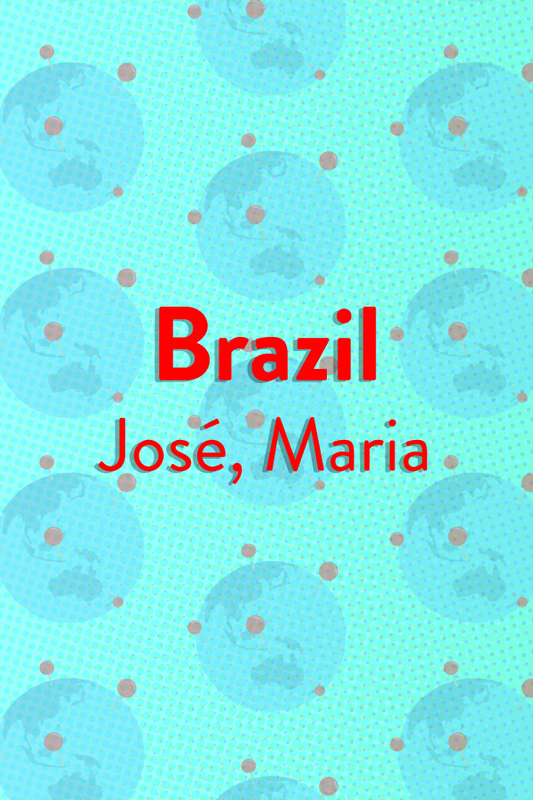 Maria is the Pelé of baby names — at least in her home country, Brazil. Just like the greatest footballer of all time, Maria hits the top spot for girl names year after year. (The last time someone counted, almost 6 percent of all Brazilian inhabitants were called Maria — an equivalent of 11,694,738 girls.) For parents who like to buck the trend, other favorites for girls are Ana, Francisca, Antônia and Adriana. The most common boy name isn’t Pelé — that honor goes to José, with João, Antonio, Francisco and Carlos making up the rest of the top five. 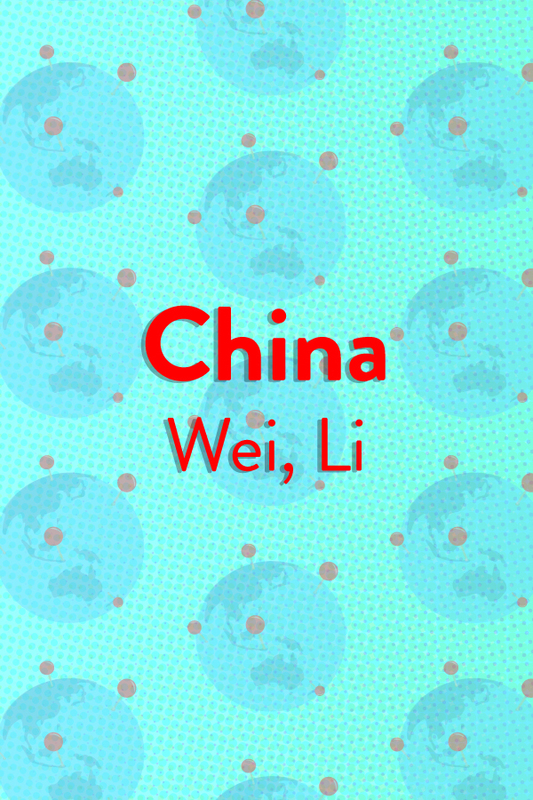 This might be difficult to believe, but many Chinese babies are named by relatives other than their parents, such as grandparents, aunts and uncles. 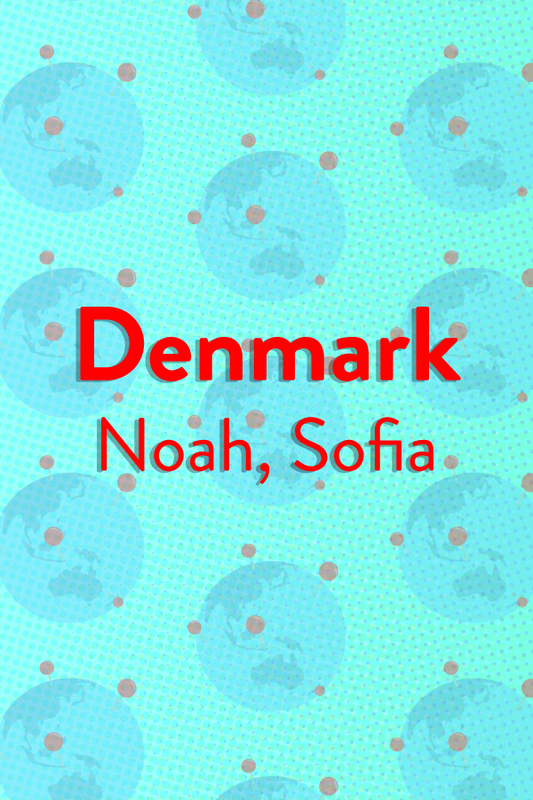 The biggest baby name shock to hit Denmark came in 2016, when the boy name Noah knocked William off the top spot after its six-year reign. Noah’s rise to the top has been truly impressive considering there were only nine people in the entire country with that name only 20 years ago. Other popular boy names in Denmark — besides William waiting in the wings to reclaim the title — include Oscar, Lucas and Carl. For little girl Danes, the top name is Sofia, with other favorites including Emma, Ida, Ella and Freja. 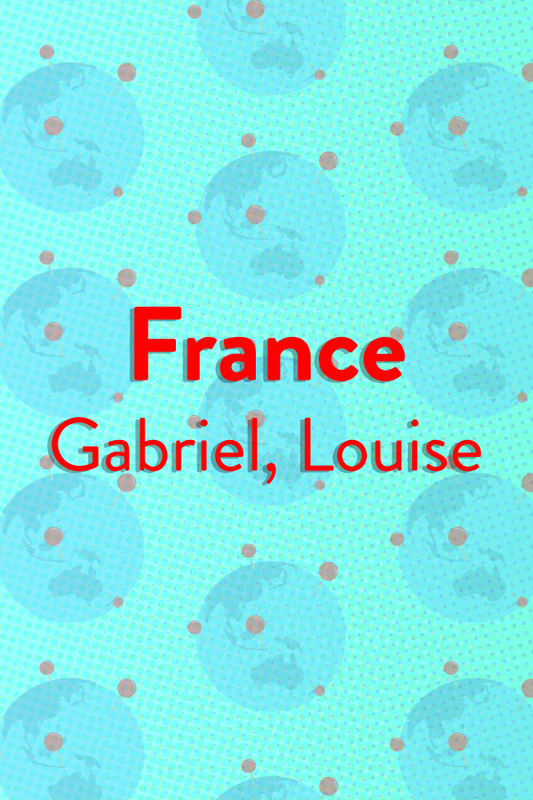 Luckily, the top names, Gabriel and Louise, seem to meet official requirements. A look at the list of favorite baby names in Germany tells us two things: They don’t have to be German names, and the shorter, the better. 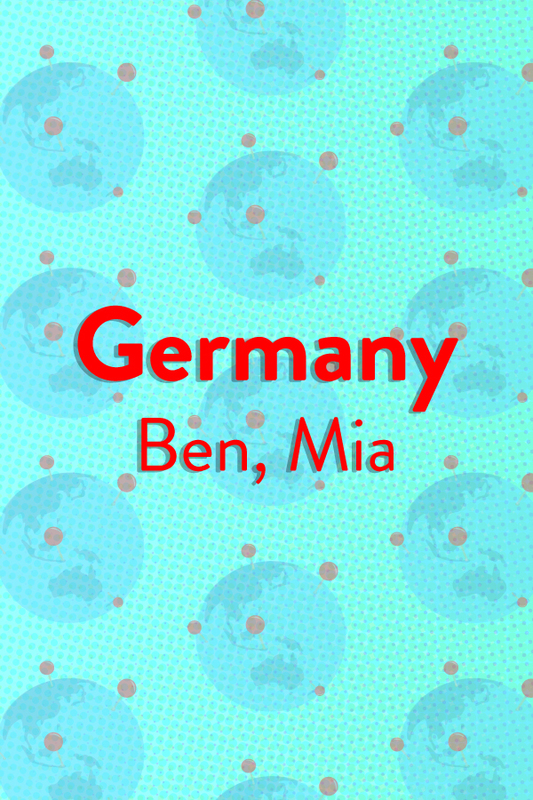 Ben takes the top spot for a boy and Mia for a girl, and other popular choices include Emma, Sofia, Hannah, Paul, Jonas and Elias. Out of this selection, only Emma is of German origin. Icelandic parents favor classical names for their children and aren’t too fussed about being different, with the country’s most popular 200 names being given names of around 80 percent of the population. 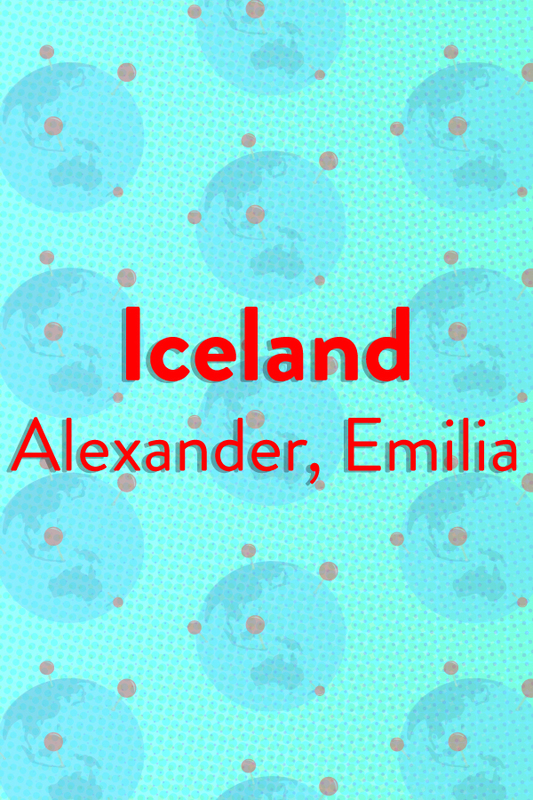 In 2017, the most popular boy name was Alexander, followed by Aron and Mikael, with E being the initial of choice for girls — Emilia, Emma and Elisabet came in first, second and third place, respectively. 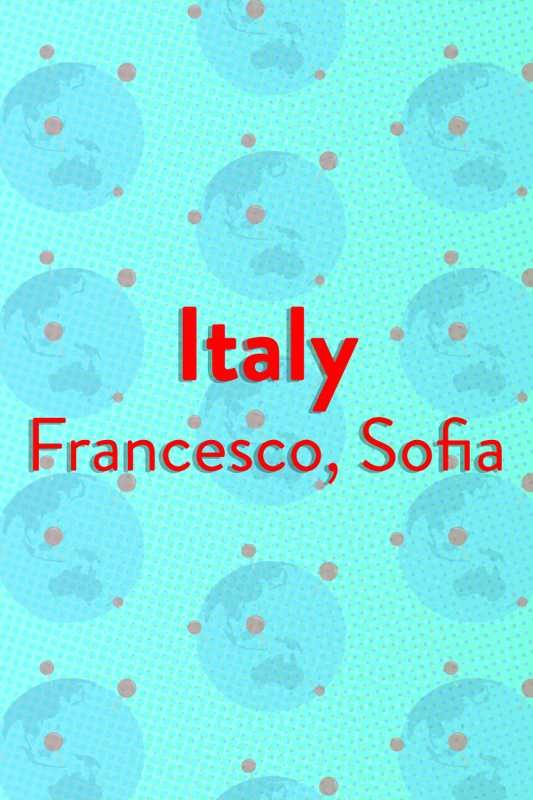 Unlike their German neighbors, Italian parents definitely stick to homegrown names for their baby boys. In 2017, the top boy name was Francesco (as in the Renaissance sculptor or the present pope), followed by Alessandro and Leonardo. 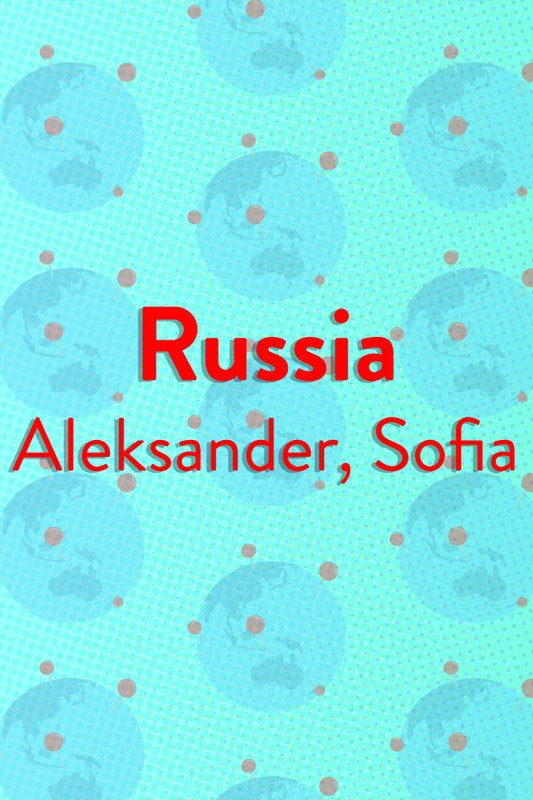 It’s a little different for girl names — Sofia, derived from the Greek word for “wisdom,” was No. 1 in 2017 and is just as popular (in its various forms) in many other countries, including Denmark, Norway and Russia. If you thinking naming a baby in English is tough, spare a thought for Japanese parents, who basically have a never-ending number of possibilities due to the structure of the Japanese language, in which words are formed by combining kanji characters. 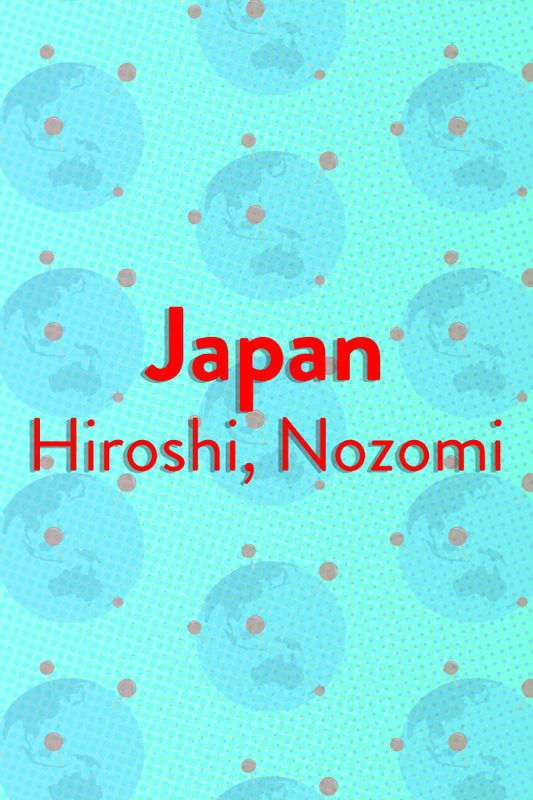 In 2017, the top girl name in Japan was Nozomi, meaning “heart of hope,” followed by Kokoro, meaning “cherry blossoms of the heart” and then Emika, meaning “blossoming flower” — spot the theme? For boys, the name Hiroshi, which means “honesty” or “integrity” is a long-standing favorite, with Takashi and Akira other popular choices. 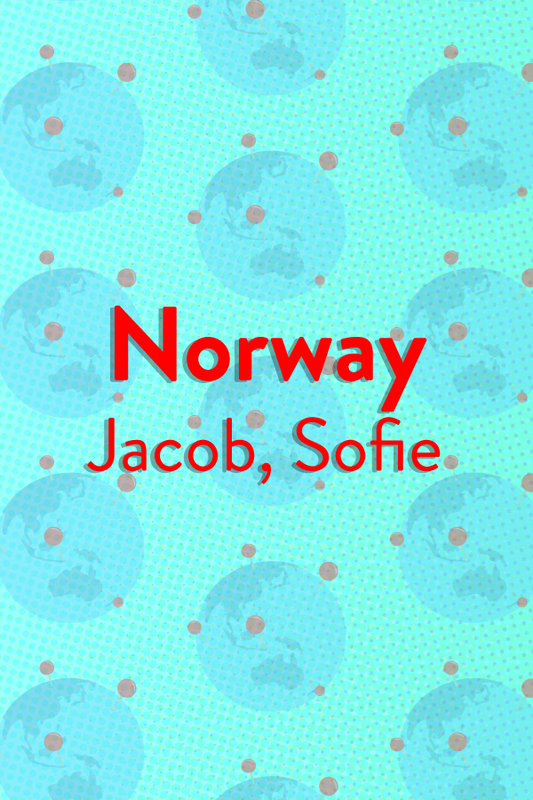 Norwegian baby name charts saw a change in 2017, with Jacob usurping William for boys and Sofie taking over from Nora. Both No. 1 names were popular at the beginning of the 20th century, fell out of favor and then came back with a vengeance. Lukas and Emil join Jacob to make the boy’s top three, while Nora taking second place and Emma claiming third position for girls. Sofia (and all its variations: Sofie, Sophia, etc.) is the most popular baby girl name across the entire world. A name of Greek origin meaning “wisdom,” it’s No. 1 in several countries, including Russia, and features in the top five in many more. Other popular names for Russian baby girls are Maria, Anna and Anastasia. Meanwhile, No. 1 for baby boys is another name of Greek origin, Aleksander, which means “defending men,” followed by Maxim, Artem and Mikhail. 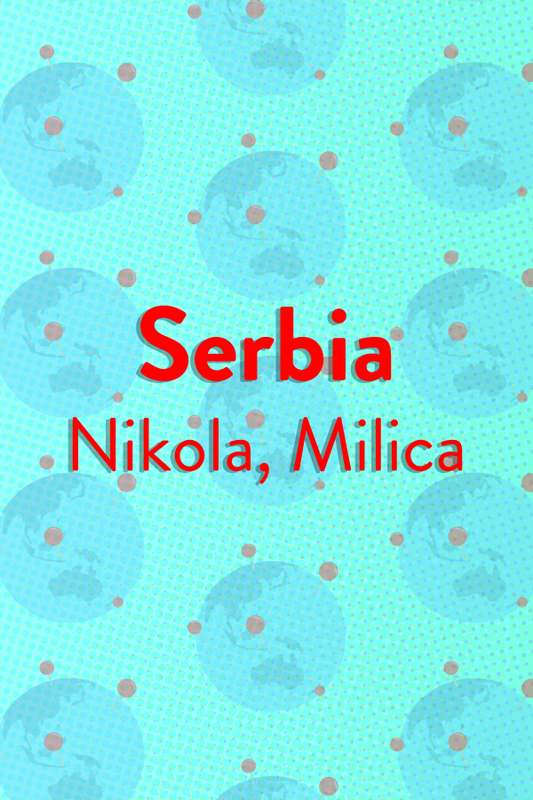 Other popular names are Teodora, Andjela and Sara for girls and Luka, Lazar and Vu for boys. A big trend in South African baby names (for both girls and boys) is word names (i.e., names you’ll find in a dictionary as well as a baby name book). In 2016, the top girl name in South Africa was Precious, which also ranked in the U.S. top 1,000 from 1978 through 2010. Meaning “of great worth, expensive,” its most notable pop-culture reference is the character (Claireece) Precious Jones in the 2009 film Precious. It is also the name of the intriguing African sleuth in the popular No. 1 Ladies’ Detective Agency series by Alexander McCall Smith. 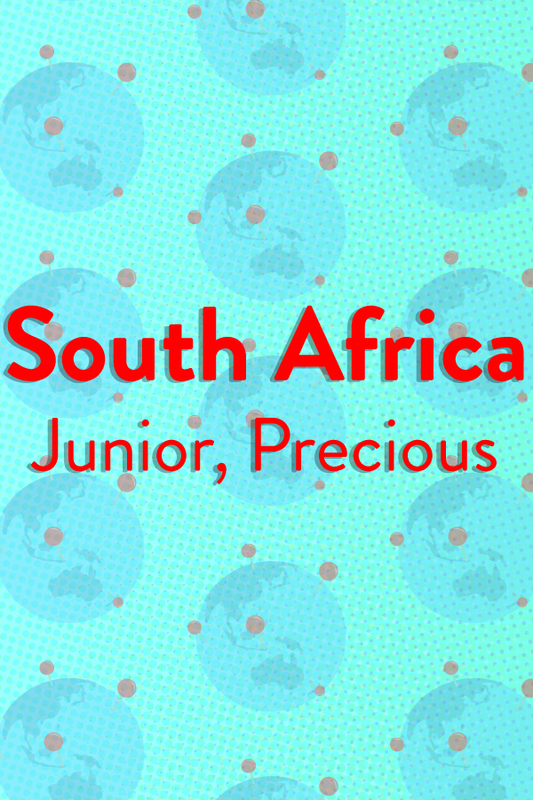 For baby boys born in South Africa, Junior was first choice in 2016, with the word names Blessing and Gift making up the top three. 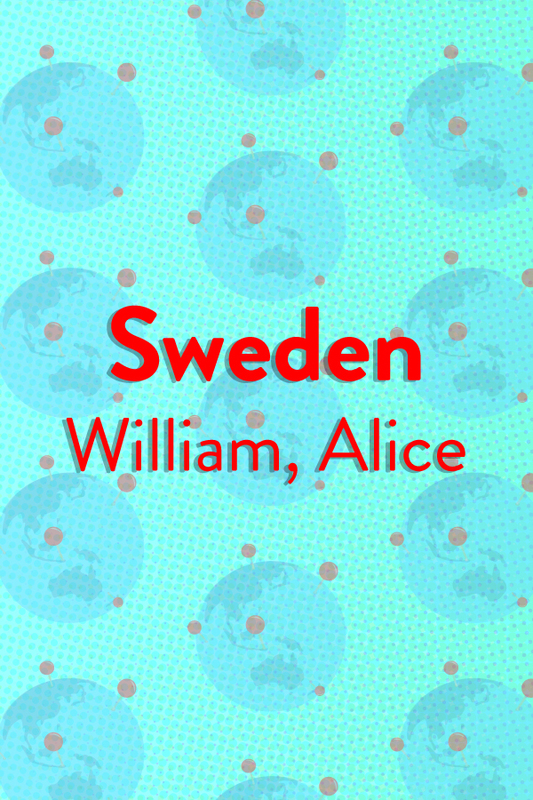 The most popular baby names in 2017 in Sweden sound distinctly… non-Swedish. For girls, Alice was the top choice, followed by Alicia and Olivia. For boys, William took the No. 1 slot, with Oscar second and Liam third. More traditionally Scandinavian names like Astrid, meaning “divinely beautiful,” the word name Saga and Axel, meaning “father of peace,” all featured in the top 100, but names originating from England and Germany were far more popular. 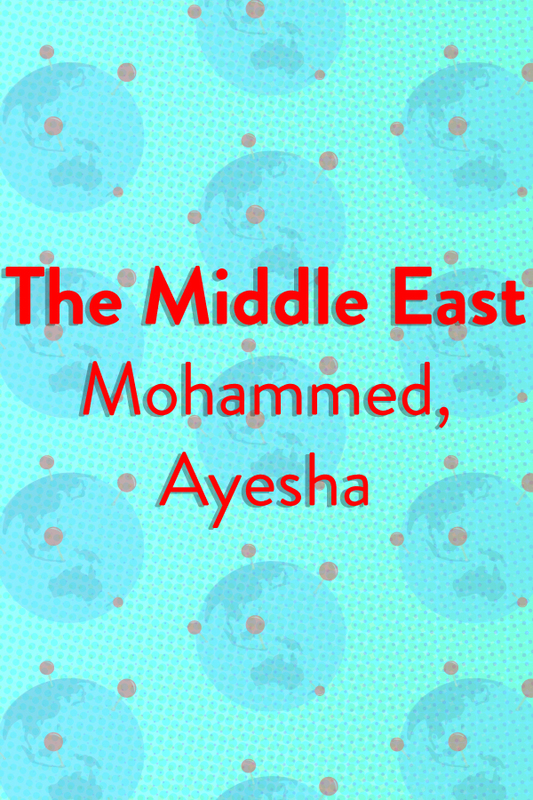 Although there isn’t an official baby name chart for Middle Eastern countries, it’s widely accepted that Mohammed (and all its variations) is the most popular name for a boy, and Ayesha the favorite for a girl. In fact, Mohammed/Mohamed/Muhammad, the name of the exalted prophet and founder of Islam, is the top choice in Muslim communities all over the world — in 2000, it was estimated that 150 million men and boys worldwide share the name, according to The Columbia Encyclopedia. And perhaps it’s no surprise that the top choice for girls is Ayesha — this was the name of one of Mohammed’s many wives. However, other British parents got a little more inventive, with several names making the top 100 for the first time ever or in several decades, including Aurora, Lyla and Orla for girls and Leo, Ralph and Hunter for boys. It was bad news for Sarah, a hugely popular girl name in the 1970s and 1980s, which finally fell out of the top 100 for the first time since records began in 1904. 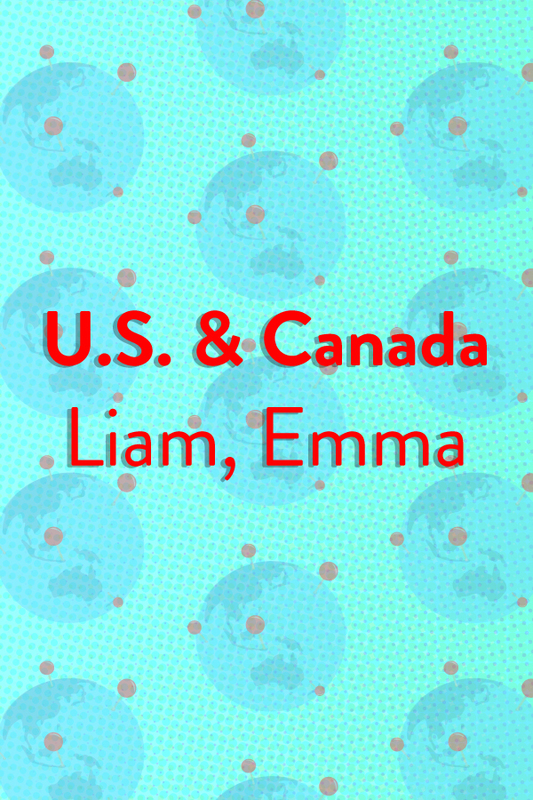 The name Emma celebrated a four-year reign at the top of the U.S. and Canada baby girl name chart in 2017, while Liam knocked the 2016 champion, Noah, off the top spot for boys. Other popular names include Olivia, Ava and Isabella for girls and William, James and Logan for boys. A surprise entry into the top 1,000 was Melania, but it’s not looking good for Donald, which fell 47 places between 2015 and 2016 and is now a less popular name than it’s been since records have been kept.